This review is going to include a lot of me, at least in the beginning. You see, Kramer and I go back a long way. Not personally, though there is personal business involved too. But back around 1990, Kramer was it. He had one of the greatest bands in the world (Bongwater). He had a label that kept churning out all kinds of weird records (Shimmy-Disc), some of which were awesome, some weren't, but all were worth exploring, especially if you worked at a college radio station. On top of all that, he played bass, through a fuzz pedal, no less. He was doing things that I dreamed of doing. In the fall of '89, I went to my first CMJ Music Marathon, and saw his other concurrent band B.A.L.L. Until I saw Bongwater a year and a half later, this was one of the most amazing, almost-falling-apart acts I had ever seen. The set began with Kramer running some cheapo cassette player through the p.a. with some strange music on it, and taking balloons from a garbage bag and throwing them into the audience. While all this was going on, guitarist Don Fleming stood there yelling, "PAPERBACK WRITER!" When they kicked into the music, they rocked really hard too. Every few songs, Kramer shot silly string into the audience. He also took an American flag and duct-taped it to the back wall, upside-down and haphazardly. (This was during the era of laws over flag-burning.) The band's energy and focus floored me. But it was too good to last. After about 15 minutes, Fleming's amp stack fell over and broke, so the set ended abruptly. Disappointing at the time, it almost seems vaguely appropriate. When Kramer released the three-record opus The Guilt Trip in 1993, I was psyched. Not only was it gigantic, it sounded great, with all kinds of different stylings going on. But after one great album with Daevid Allen (Who's Afraid, which I come back to about every six months), the Shimmy-Disc outpouring seemed to slow down and didn't slay me as much. Out of nowhere, Blurt's Fred Mills wrote a piece about Kramer's first new album in ages. Brill Building pays tribute to the songwriters who worked in that storied locale in New York (where my sister works now, though not as a songwriter) by covering 10 of them. I had to have it. The album is marked by a lot of vintage Kramer stylings, specifically the use of sampled recordings before, after and sometimes during the songs. By 2013 standards, this is nothing new, but he was doing this on Bongwater records and it actually goes back to his days with Shockabilly (who were to classic rock what Spike Jones was to '40s music; why I'm the only person to say that, I'll never know). Sometimes they seem to be voices that randomly were chosen to go there, other times, there might be some political charge to it that gives the song a little more depth. Some of the ones on this album seem to have a continuing theme related to the '60s: Lyndon Johnson paying tribute to John Kennedy while signing the Civil Rights Bill; newscasters talking about Jack Ruby, presumably after he shot Lee Harvey Oswald. Without even considering that he worked on it for seven years, it's clear that Kramer has a fondness for these songs and put care into this production. (His last few outings seemed to be not much more than simple jams with layers of overdubs piled onto them. A previous Beatles cover also a little lazy when he messed up lyric order.) The album begins with the creepy "He Hit Me" (whose title omits the "...and It Felt Like a Kiss"), but the slow tempo and sea of keyboards seem to make a statement on the unsavory message of the song. 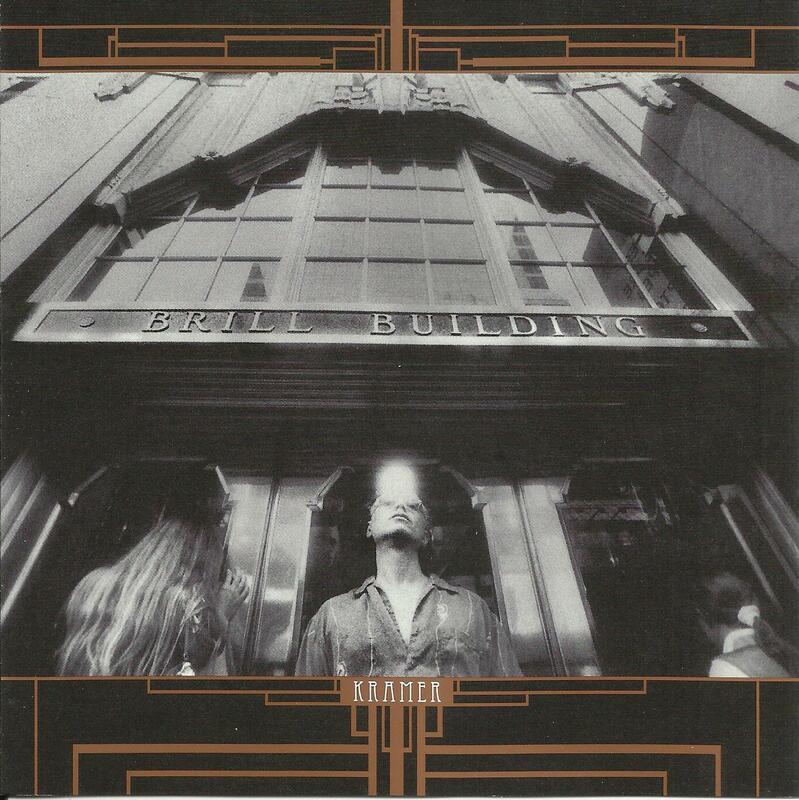 Brill Building also has extensive liner notes by Kramer where he analyzes that song and its meaning, not to mention the whole milieu of the Brill Building and the connection with Lower East Side poets like the Fugs. That alone is fascinating in and of itself, and not just because the layout makes it a challenge to read. Kramer once described his take on covers as being something like part tribute and part lampoon, and that feeling comes across in several tracks. "Do Wah Diddy Diddy" finds him channeling an old Jewish grandfather while mumbling that insipid title. (Or maybe he's invoking Jack Mundurian, the novelty singer that he sampled on The Guilt Trip). In the "I knew we were falling in love" section, he shifts gears and belts it out like a rocker, which hams up the whole thing and makes you appreciate the whole thing. The fuzzed out electro-clash version of "I Want Candy" might be a bit much but the spastic version of "Save the Last Dance For Me" - which features R. Stevie Moore singing, drumming and playing way off-key guitar - is right on the money. While several of tunes are fairly faithful and play it fairly safe, nearly half of the album successfully takes the songs where they've never gone before. For starters, there's a country-and-western take on "Spanish Harlem," complete with Johnny Cash-style guitar strums and some horse neighs. "On Broadway" gives us guest vocalist Jad Fair at his most soulful and guest pianist Mike Jones doing some busy but boppish piano fills. Neil Diamond's "Cherry Cherry" gets translated into Spanish and rearranged to sound almost like "Guantanamera," at least when the Sandpipers did it. That's not a put-down either. This is beautiful. After what seems like a long time away from the limelight, this album signals that Kramer still has the creative juices flowing. The guest vocalists (which also includes Danielson's Daniel C. Smith on "Paradise) offer variety that evokes the groups that sang Brill Building songs. Yet Kramer himself is in extremely fine form whether he's goofing or making like a straight crooner on "Baby It's You" and "I Love How You Love Me." Which has me thinking, next time out, maybe he ought to take on the Great American Songbook. Kramer, you getting this down? It could be another chapter in the Great American Jewish series for ol' Zorn. Monday was a great night for music. The evening started at Club Cafe where Suzanne Vega was playing two shows. I attended the first show, at 6:30, where I felt like one of the younger people in the audience, something I haven't felt in a long time. Some people might be surprised to hear this but I really like Suzanne Vega's music. In fact, I should say that I love it. She has a beautiful voice, very calming and spellbinding at the same time. She is a great storyteller, which I'm reminded of every time I hear some mediocre "singer-songwriter" type banging on an acoustic guitar and trying to make a statement. And now it's clear that she has an impeccable stage presence, telling stories between songs that are charming and amusing, and playing songs that close to 30 years old like they're brand new. All of this was on display in the opening minutes of the show when she and guitarist Gerry Leonard got onstage. Vega casually donned a top hat, which she flipped into shape before she introduced "Marlene on the Wall." That song alone is filled with all her attributes: great lyrics, great story and a key change in the chorus that grabs your ear without letting you think about it as it amps up the beauty of the whole thing. Her song selection incorporated all of her albums, and then some. She has recently released a series of albums called Close-Up in which she's re-recorded her back catalog acoustically, grouping the songs by theme over the four volumes. The reasoning wasn't explained, but knowing the state of record labels (most of her albums were on A&M) it could have something to do with getting the songs back out there. Since she's still writing songs, anything else might be a bit dubious. Mid-set she played a few new songs in a row. Tentatively titled "Fool's Complaint," this first one had a verse that sounded exactly like "When Heroes Go Down," and had what seemed like a clunky opening line for someone like Suzanne ("I really hate the Queen of Cups."). "I Never Wear White" also seemed a little basic with a second line like "I wear black." At the same time, she has a unique way of giving a line like that some gravity, whereas anyone who came after her might sound like a hack. Leonard gave the song a heavy rock riff, with his arsenal of effects pedals that added bass tones throughout the set and looped chords so he could play some leads. This made "Blood Makes Noise" as creepy as the studio version, especially when Vega's voice added some reverb and delay. As hoped, the show was over in enough time to get down to the Thunderbird Cafe to see the Ethnic Heritage Ensemble. Leader Kahil El'Zabar has been here several times over the past few years with a few different groups, including one with baritone saxophonist Hamiett Blueitt. This trio is possibly the most remarkable, especially since it consists only of him, trumpeter Corey Wilkes and saxophonist Ernest Dawkins. El'Zabar might do a similar thing each time he comes - one tune on kalimba, one on trap kit, one on conga - but hearing him is like listening to an album you really like. It's always enjoyable. And even if his vocalizing might be similar to Keith Jarrett's noises during his solo, everything else makes this music infectious. "Black is Back" opened with a hypnotic finger piano groove which the horns built upon. Dawkins, on alto, sounded especially sharp, quoting "Wade in the Water" toward the end of a bristling solo. It's no surprise he was laughing with excitement as the tune wound up, with all three of them whispering the title. If Clifford Brown was still around and he took inspiration from Lester Bowie, he might sound like Corey Wilkes. The second, untitled piece of the first set (with El'Zabar on drums, playing tempo and a melodic undercurrent) featured Wilkes showing off his bright tone and wild intervallic leaps, occasionally putting the bell of his horn right on the microphone for emphasis. Bands like the Ethnic Heritage Ensemble, like the Art Ensemble of Chicago before them (a few of whom played with El'Zabar), will tip their hat to the past without ever forgetting that they're a band of modern times. As an example, they played Dizzy Gillespie's "Bebop" with El'Zabar on hand drums (not sure if you'd actually call it a conga drum), which gave the song more of a pedal point base instead of flurry of chords normally heard in it. It changed the shape of the tune and gave it a new life. Acknowledging it's origin, perhaps, Dawkins quoted the bridge of Charlie Parker's "Donna Lee" - twice. The second set kept the energy up, even during the more meditative "Can You Find a Place," with its vocal and kalimba groove. Dawkins pulled out tenor and alto to blow behind Wilkes during the boppish opener. And the all-percussive final tune took us out on a very high note. Robert Wyatt once said that every time he hears a new record, he wants to hear an old one. It was his personal reworking of some author's observation that every time he reads a new book, he then wants to read an old one. That happens a lot with new albums: After hearing a new work by someone, I want to hunt down everything else they've done. Otherwise I feel like I'm missing something. That feeling occurred while listening to The 3dom Factor, drummer Barry Altschul's first recording as a leader in over 25 years. Altschul earned his stripes for his work in Circle (the co-op group with Dave Holland, Anthony Braxton and Chick Corea) and the trios of Paul Bley and Sam Rivers. He's an ingenious percussionist who can play freely or swing viciously. In the past couple of years, he resurfaced, on the reunion disc with Rivers and Holland, and on Jon Irabagon's lengthy spontaneous disc Foxy. But between his name-establishing work and his resurgence, the drummer proved himself to be an excellent composer too, releasing albums which, on the basis of these performances, I feel compelled to track down. The 3dom Factor revisits several of those compositions, with Irabagon (on tenor) and Joe Fonda (bass) along for the ride. Carla Bley's "Ictus" is also included, a tune Altschul played in Paul Bley's trio. Three new songs appear on the disc as well, to prove this isn't just a reflection of the past. 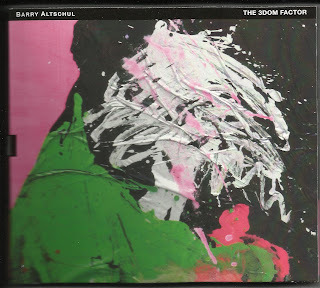 Far from it - this is a vital album that is exuberant throughout the whole set. From the moment the title track kicks off this album, the trio operates on a high level of communication. The theme here is vaguely reminiscent of an Ornette/folk style melody, which moves into solos marked by Irabagon doing some rapid slap-tonguing. When things drift apart freely, Fonda brings it back with some authoritative slides up the neck. Altschul incorporated all sorts of percussion into his playing, and "Martin's Stew" exemplifies this. Over Fonda's bowed ostinato, the drummer blows whistles and never fully moving to the trap kit until Irabagon's solo later in the piece. The tenor player has appeared in different situations in his own sessions that span straight ahead jazz and blistering free improv, not to mention the nothing-is-sacred approach of Mostly Other People Do the Killing. In "Martin's Stew" he draws on all those experiences with astounding ease, going from growling overtones to convoluted lines of bop in a matter of breaths. His depth serves as a reminder that this guy is one of the most creative younger saxophonist out there. When the group plays the two ballads, a little bit of wildness lies below the surface but it never shatters the mood. "Irina" uses space really well, moving a couple phrases at a time with punctuation coming from Altschul. Fonda plays a solo with a contrast of drawn-out notes and fast phrases. Irabagon feels like he wants to go wild but never does, using that energy instead to add color to the piece. He does something similar in "Just a Simple Song," starting subdued and gradually moving to a high shout. Fonda's double-stops in the melody make this one compelling too. In the mid-'80s, Altschul wrote a tune called "For Papa Jo, Klook and Philly Too," paying tribute to his heroes Papa Jo Jones, Kenny "Klook" Clarke and Philly Joe Jones. Here the trio adds a little funk to the tune, transforming it into "Papa's Funkish Dance," and his rhythmic punctuation is electrifying. Another surprise comes in "Natal Chart," which is based on the idea that each of our solar system's planets have their own tone, and each is represented in the song. While things start wild, the planets align and the group eventually shifts in a Dixieland groove. That might sound crazy, but it works thanks to more bowing from Fonda and some machine gun-style fluttering tonguing from Irabagon. The folks at TUM Records (which is based in Finland) know how to put together a package. The 3dom Factor's nearly 30-page booklet rivals AllMusic.com for detailed notes on the session, the musicians and the compositions, to the point where there's a bit of overlap. Nevertheless all the info is useful and it serves as the icing on a birthday cake for Mr. Altschul, who just turned 70 in early January. May his seventh decade bring him more recognition not just for his past triumphs but for what's capable of doing right now. And believe me, he can still do a lot. It was tempting to expound on nearly every track. There have been moments during the last few Chris Potter albums where it's been easy to think, This is the future of jazz. Not to say that there aren't a lot of musicians advancing the music, but saxophonist Potter is someone who's fairly close to "mainstream" jazz but approaches it with the vision of, if not an avant-garde player, than someone who really pushes himself and listeners in the direction of adventure. He's a creative player, on tenor and soprano, as well as bass clarinet. For a musician who has played with Marian McPartland and Steely Dan, he has brought a good deal of fire to Dave Holland's groups, and Paul Motian's trios. In fact Motian's Lost in a Dream probably ranks with some of the best jazz albums of the last decade. But the real excitement can be found on albums by Potter's Underground units, where he forgoes bass, has Craig Taborn cover those duties with keyboards and lets his Holland bandmate Nate Smith go wild on drums. On their 2009 album Ultrahang it seemed like Potter might have taken some cues from Tim Berne and he clearly knew what to do with them. For his first album as a leader on ECM, Potter has brought along Taborn (on acoustic piano), with bassist Larry Grenadier and drummer Eric Harland for his core quartet. The extra sense of experimentation comes with a second pianist, David Virelles, on prepared piano, celeste and harmonium. Virelles (who just released the highly-regarded Continuum on Pi Recordings) only seems to appear on a few tracks, if my ears are being accurate. 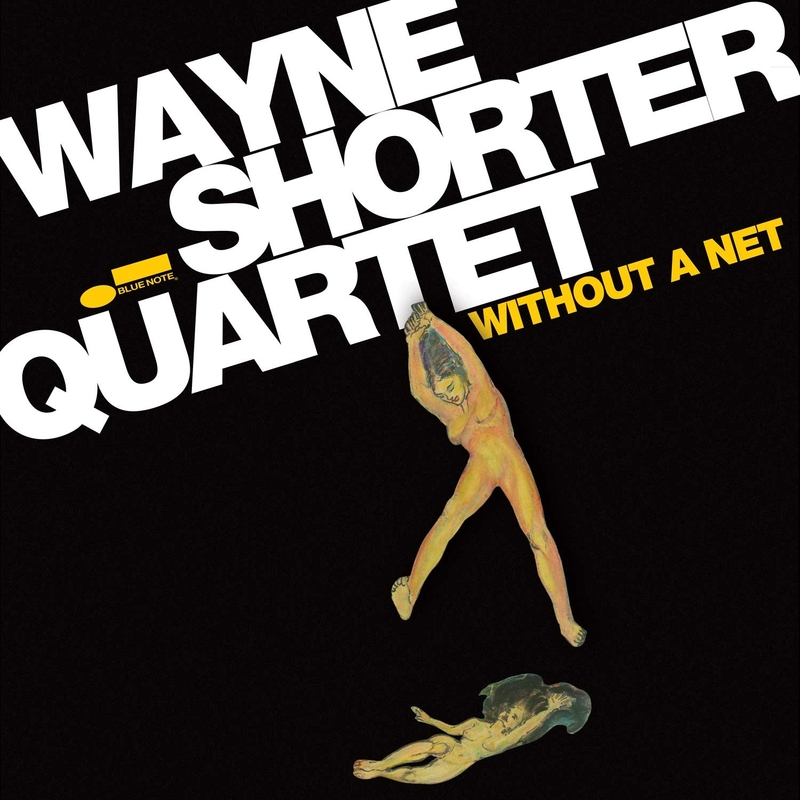 But he adds a twist to the music without cluttering the balance of the quartet. The pianists' spare duet that closes the album leaves you wanting a lot more than some bare exchanges of sound too. The compositions were inspired by the writings of Homer, and that being said, many take the slow and thoughtful course. The minor title track begins with Potter on bass clarinet, leading to a bowed solo by Grenadier in the same register as the reed, wrapping up with the leader switching to tenor. 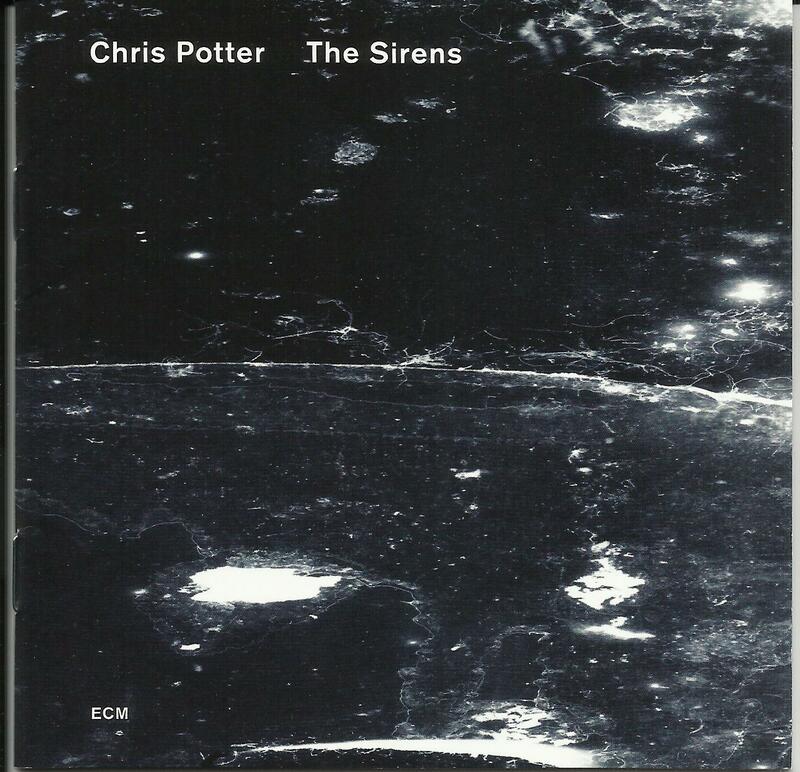 "Strangers at the Gate" finds Potter on soprano, and a dialogue between Taborn and Virelles with the latter's celeste being the more dissonant voice. In contrast, "Kalypso" doesn't quite capture the feeling of its synonymous title, but it gets Harland to play the melody with the tenor and get a little space of his own to flex a little. 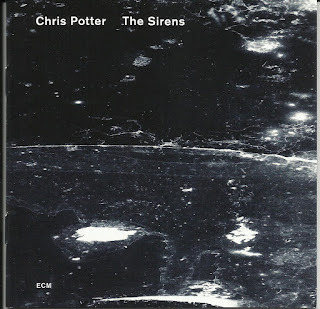 Being an ECM album The Sirens has the majestic and somewhat dreamy production of Manfred Eicher setting the mood, though Potter reveals the bite in his playing as well. "Wine Dark Sea" begins gently but as his tenor solo develops, he gets a little more jagged, with the fire of the Underground albums coming into the mix. "Wayfinder" continues with the same type of wooliness, with Virelles adding some prepared piano clicks and celeste. Marked by shifting time signatures, the band still almost locks into a funk vamp by the end of the tenor solo. Potter's sense of adventure is still going strong and this new album offers proof, which only grows with repeated listens. Finally! I'm finally back online, 100%. Monday morning our internet connection was going on and off, on when the PC went into sleep mode, and off when I wanted to get online. After going through the long, drawn out, impersonal call to Verizon, complete with the canned empathy by the operator, it was clear that the problem was on our line and a tech had to come out. On Wednesday. He finally came on Wednesday, only 30 minutes past the 4-hour window that they gave and he fixed the line. But the shock waves that the line update made (figuratively) kept me from getting on smoothly until about now. Tuesday night I went to the Thunderbird because Colter Harper was leading Space Exchange that week and he had drummer Allison Miller in from New York to play with him. It was wild, because they were playing some of Colter's vocal songs, which are a little more singer-songwriter than straight jazz. Then they'd go off on solos and Miller was tearing it up like some combination of George Hurley and Jim Black. (That just came to me, Allison, don't bust my chops if you think I'm off the mark.) I know she plays with songwriters like Brandi Carlile too, so I wish I could start a band with her. That night I was talking to my friend Jeff Berman about Soft Machine. I had posted on Facebook a few days ago that I pulled out Third and still love it. Jeff commented that he saw Soft Machine live, and on Tuesday he explained he saw them more than once, which made me jealous. And then...a day later, he came into the store and told me that original Soft Machine bassist Kevin Ayers had died. It's not quite the same synchronicity as when Paul Motian died (I was driving home one night thinking about how I might try to interview such a tough interviewee, unaware that he had died about an hour earlier), but still it was odd. Here's an Ayers obit with a great photo of early Soft Machine. Funny how all those British bands started out looking zany or wiggy in the early days and later became so stoic. Compare the Syd Barrett-era Pink Floyd to the lineup right after, and you'll see what I mean. Here's also a link to an early Soft Machine song, "Jet Propelled," when the lineup also included Daevid Allen. I was rather disappointed with this whole album of songs, but this one is great. Tonight is the Paula Poundstone show. I wrote a quickie about her for Pittsburgh City Paper this week but I think I'm going to skip the show, much as it'd be cool to see her. There are a few things coming up next week, including Suzanne Vega and the Ethnic Heritage Ensemble both on the same night. Plus I'm recording on Sunday afternoon. Both things could cut into family time. Another thing that's happening this weekend is that the Chris Potter Quintet is playing in Cleveland. If only we were traveling to Ohio this weekend, I'd steal away to that for a few hours, but that ain't happening. If you're near Cleveland, though, check them out. I'll be reviewing the new album here soon. Until March 5, there was an obtuse review here, but I've since revised it and given it to Blurt for them to run. I'll post a link when it's on their website. Playing right now: JD Allen Trio - The Matador and the Bull. All the writing assignments, for the moment at least, wrapped up on Tuesday morning. They included a story for JazzTimes, four CD reviews for the same magazine (I was good and submitted some ahead of time), about three for Blurt and a preview for City Paper. Plus interviews for all of them that needed to be transcribed. Now it's back to the lingering feeling that I should be reviewing everything else here. What a joy it would be to just do that all day. Last night I went to the Thunderbird to see Ken Stringfellow, with Will Simmons and his band (not sure if they're still the Upholsterers) opening. I missed Karl Hendricks' solo set since I had what's known in this house as "baby duty," though the person in question who I was putting to bed is no longer a baby. Will and the Gang played a tight set that included a guest vocal spot by Karl himself on a song called "Don't Look Back" that's not the Boston song. It's from some Nuggets box. I'm not all that up on the Posies catalog though I think somewhere there in the house there's a solo CD by Stringfellow from when he was here on a solo tour. He has a beautiful voice, and a lot of his songs were marked by "woah-woah"s. I was expected something a little more pure pop, with power chords and hooks, but his playing was a little less pronounced than that, meaning it was a little more open. It was a different story when he played keyboard. Those songs were a little easier to groove on. But he played a looooong time. I'm not exactly sure when he started but I'm pretty sure he bypassed the hour mark when I finally decided that I needed to hit the hay. Local violinist Megan Williams (my ex-bandmate from Up the Sandbox) and vocalist Emily Rodgers joined him, Megan for several songs, Emily for one that was sung on Stringfellow's album by Margaret Cho. He also talked Bill Fulmer from the Simmons band to blow some trombone on a song too.It all sounded pretty good. In other news, I just discovered a couple days ago that Suzanne Vega is in town the same night as the Ethnic Heritage Ensemble. I've seen the latter and always passed up the former. I might try to do both that night, as Vega's doing an early and late show. I've been getting daily comment emails sent to me that I delete, figuring Blogger would delete all the messages. Imagine my surprise when I saw 14 spam comments of "I enjoy blog you write" crap. Yesterday I saw more writing action/preparation than I feel like I have in years. 3:00-3:10: Run around in circles, feel productive, until it's time to pick up the boy from school. If only everyday offered this much writing activity. I just emailed the second review and now I can't decide whether I should start on the El'Zabar piece or just listen to a CD I have to review by next week. Before January even ended, there were a few RIPs to acknowledge. Jayne Cortez, poet, activist and performer (and one time wife of Ornette Coleman and mother of Denardo Coleman) actually passed away on December 28, though I only heard earlier in the week. She came to Pittsburgh in a band with Denardo around 2000, but unfortunately I never got to see her. She was 78. Here's an obituary on her. You know someone's legit if the Huffington Post is writing about them. This week, "Conduction" master/cornetist Lawrence "Butch" Morris died on January 29, after a battle with lung cancer. Here's a nice obit on him. I got to talk to him a few years ago in advance of a performance in Buffalo and his philosophy about conduction was pretty fascinating. Then last night, I read that Barbara Manning's mother, Saria Farr, also recently passed away. She wasn't a musician, at least not in the same capacity as her daughter, but she was clearly a positive influence on Barbara, whom I count as one of my all time favorite songwriters. Whereever she is, I wish Barbara and her sister Terri all the best.